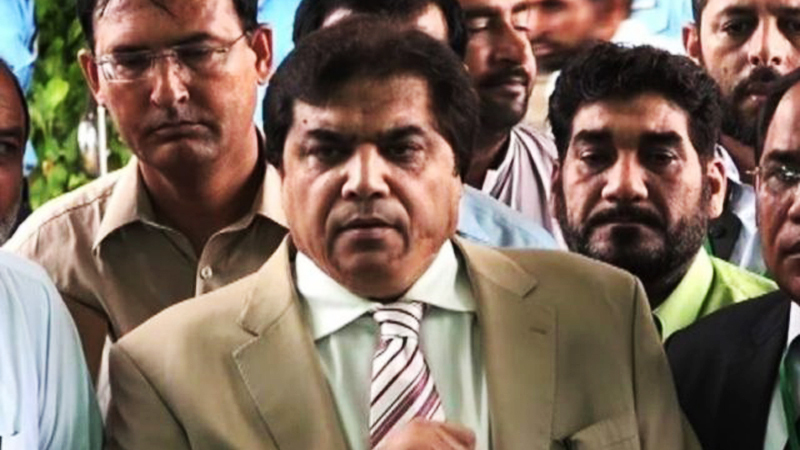 The Lahore High Court (LHC) on Monday gave a state counsel a last chance to submit his reply on an appeal filed by Pakistan Muslim League – Nawaz (PML-N) leader Hanif Abbasi against his life term in the ephedrine quota case. A division bench comprising Justice Aalia Neelum and Justice Sardar Muhammad Sarfaraz Dogar expressed displeasure over the counsel for failing to submit his response. “No excuse will be heard on next hearing,” the bench cautioned and ruled that it would hear arguments on different applications filed in the case on March 28. The appellant’s lawyer contended before the judges that Abbasi was suffering from four different diseases, adding he also suffered a cardiac arrest inside the jail. He argued seven other accused named in the case had been freed by the trial while his client was awarded life term. The lawyer pleaded to the high court to suspend his client’s sentence and order his release on bail.